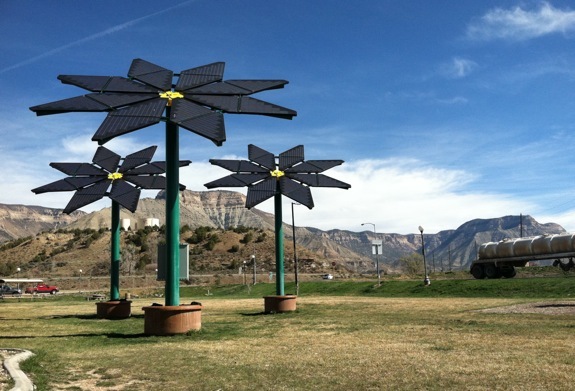 If you’re ever driving along I-70 in Colorado, you might see these spry solar flowers. 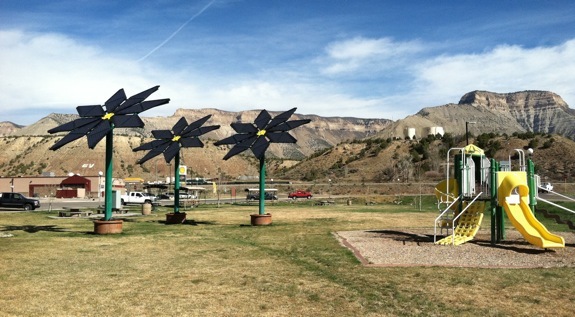 These solar flowers have sprung up on Interstate – 70 outside of Parachute, Colorado. Located on a somewhat desolate stretch of Interstate 70 in Western Colorado, the photovoltaic flowers are a welcome sight. A custom frame was welded together for as a support for the solar panels. Who says solar panels can’t have some style? These panels have a custom frame that supports and gives the flowers their shape. These solar panels supply a good portion of the energy that the rest stop uses. A seemingly regular rest stop with restrooms a playground, and solar flowers! There’s quite a lot of oil and gas exploration in the area. I believe part of the agreement with the counties that allow the companies to extract oil and gas from the area, is that a portion of the profits go toward the development of clean energy. I have to take these photos really quickly. 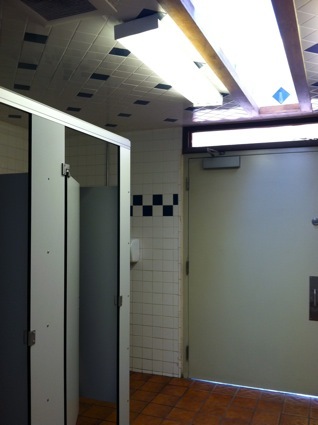 The restroom had a skylight that allowed in natural light. There was a skylight in the bathroom that lit the space with natural light. 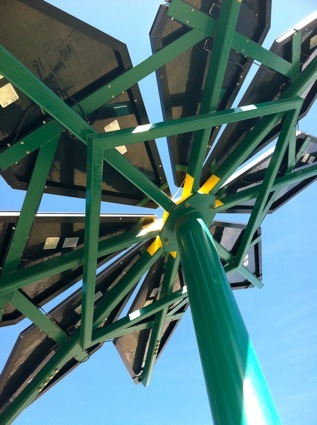 Take a road trip along I-70 to see these solar flowers.